Steve Jobs, the Apple visionary who changed the world, lost his battle to pancreatic cancer on Wednesday. Although Jobs was known as not always the nicest person to work with, his impact on our lives cannot be overstated. By now, you may have seen the video of his 2005 commencement speech at Stanford University. He’d been diagnosed the year before, and had successful surgery. He was in remission. But a near-death experience had an effect, even on this impossibly driven CEO. When our friends die, it’s a kick in the gut, especially when they’re our age. Our mortality is front and center, and we can’t ignore it. It’s not surprising, then, that many people take a good hard look at their lives: their work, their passions, their relationships. And it’s also not surprising that the death of a friend can be a catalyst for some pretty major life changes. I had no idea he was sick! 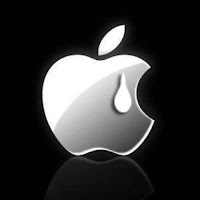 Its reallys sad how cancer win in jobs life , Rest in peace. Steve Jobs' 2005 speech says it all: "life is short and then you die" so get out there and live your dream while you can. Wise words that will echo for generations to come. Whenever I go astray in my perspective, those words will serve to help me re-focus on "making whatever it is I have chosen to do damn good" Lovely post.